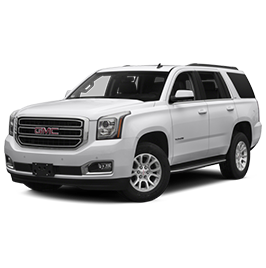 The 2009 Yukon 4WD is a 4-door, up to 9-passenger sport-utility, available in 4 trims, ranging from the SLE-1 to the SLT-2. Upon introduction, both trims are equipped with a standard 5.3-liter, V8, 320-horsepower, flexible fuel engine that achieves 14-mpg in the city and 20-mpg on the highway. A 6-speed automatic transmission with overdrive is standard. The 2009 Yukon 4WD is a carryover from 2008.